This can signify that this attorney will be loyal to the firm because he or she has no one else. To relocate, you really have to know yourself and understand why you’re willing to relocate. There is nothing more exciting than leaving one area of the country and moving to a new city to start a new career and life. One of the advantages of having chosen a career in the fluid legal industry is that you do have the option of living in other parts of the United States or even the world. We have moved attorneys from one city to another and from one continent to another. Indeed, as an attorney-search firm that places attorneys throughout the United States and the world, we believe that we have made a positive difference in the quality of many lives through our relocation efforts. For excellent attorneys, we are the relocation experts. Where are you planning to relocate to? Let us know in the comments! Nevertheless, we cannot always do this. For example, it seems that on almost a daily basis, we receive resumes from Russia, Bangladesh, Nigeria, and India. While these attorneys may certainly be placeable in their own markets, the odds of our placing them in the United States are severely diminished if they do not have skills that are easily transferable. When you are looking to relocate, remember the first question you will always be asked is why. Considering moving to another state, city or country with which you have minimal ties may not be attractive to a firm that is seeking loyalty and stability. You must think through the reasons that you have for moving to a different state or area and whether those reasons will appeal to potential employers. 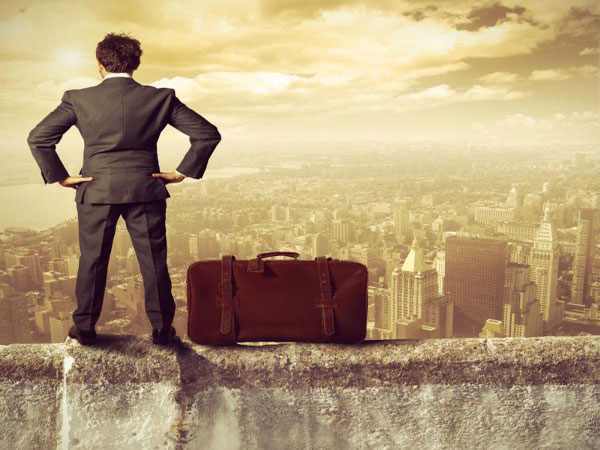 Before you pack your bags, however, it is important to distinguish the types of attorneys that are looking for a job out of state who are likely to have the most success in relocating from those who will not have success. It is important that you know which markets are going to most likely be receptive to your efforts to relocate there. If you've spent some time reviewing the jobs we have available, you've quickly realized that there are countless opportunities in many of the markets that we are serving. As much as we hate to say it, your success in an out of state job search and getting any of these positions will be dependent upon numerous factors that, in many cases, will have more to do with forces beyond your immediate control than with what you can control. Several times on a daily basis, we are approached by attorneys in other markets who are interested in relocating to a new state to one of the markets that we serve. You obviously aren’t moving to a new city with no job, so we can give you a head start. When analyzing the majority of the placements we make throughout the United States, we have found that more than 50% of the placements we do make are for attorneys who are relocating to another area of the United States. For example, in California, despite the fact that our main office is in Los Angeles, in the 2000 calendar year, more than 60% of the placements we made were for attorneys relocating to Silicon Valley from other areas of the United States. The substantial majority of the attorneys we relocated to Silicon Valley were corporate attorneys. In the 2001 calendar year, the substantial majority of the placements we made in California were in Los Angeles for litigators. Why, you may ask, has this pattern emerged? As a national legal-search firm, we can tell you that these placement results will parallel the results you will get should you commence a search through us or another recruiter. There are simply many economic and other forces that make all of this happen. Your success in relocating to a given market will generally be better if you practice in a given area of the law that is in high demand at the time. Waiting until you are in high demand is one of the best ways to relocate to another state. Before we go into some detail about this, you should know the following. First, litigators are almost always in demand in both good economies and bad economies. However, it is generally more difficult for litigators to relocate than for other types of attorneys. Second, corporate attorneys are extremely marketable when the economic climate is good and can easily relocate to other areas of the country. Corporate attorneys also have the luxury of being marketable, not just in other areas of the United States, but in other areas of the world. When the economic climate is failing, corporate attorneys have a very difficult time finding work and may even be laid off. Third, one of the tips for moving to a new city is the more specialized the practice area an attorney is in, and to the extent those skills are transferable to another firm, the more marketable he/she will be. Is your practice area currently in demand? Do you think it’ll be difficult for you to relocate? The following are our observations about the success different types of attorneys are likely to have in relocating to a different market. This can serve as your moving to a new city checklist, in part. Litigators can easily relocate to a given market if certain specified criteria are met. A litigator relocating faces an interesting dilemma. While litigators are almost always in demand in a given market (even during recessions), they do have a slightly more difficult time relocating on an ongoing basis than other attorneys. For the most part, then, a litigator must have outstanding credentials to consider relocating to a given market. There are some exceptions to this rule, however, and these will be discussed below. First, the good news. When the economy slows down, many types of attorneys, such as corporate attorneys, have a very difficult—if not impossible—time relocating, regardless of the strength of their resumes. Conversely, lawsuits can drag on for years and even pick up to some degree when the economy cools. Thus, litigators are almost always marketable to some extent, regardless of the state of the economy. The bad news is that it is far more difficult for litigators to relocate. One interesting thing to us about litigation is that—at its highest level—the skills necessary to perform as a good litigator do not always come through in job interviews; therefore, firms may be looking for traditional indicators of success in litigators that they would not be seeking in other types of attorneys. A good litigator needs to be an outstanding writer, needs good negotiation skills, and (the law firm stereotypes aside) needs to have the ability to be an advocate in a courtroom type of setting. Many of these skills are "natural," and some attorneys just do not have them. It is difficult for interviewers to pick them up. Accordingly, there is more of an emphasis on traditional indicators of success for litigators than there is for other types of attorneys. This may be one reason why, in the litigation community, having certain achievements, such as law review admission, a federal clerkship, and graduation from a top law school is often more important than it is for other types of attorneys. When an attorney is relocating to a given market, these types of qualifications often receive even more emphasis, and it is not easy for attorneys to relocate to a given market unless they are truly stellar. Attorneys who have achieved significant traditional indicators of success in the litigation field, such as law review admission, federal court clerkships (federal circuit is most in demand), graduation from a top-15 law school, and employment with a top national firm are almost always good relocation candidates. However, the difficulty relocating attorneys have who do not have these high-level credentials becomes magnified to a greater extent than they are for other types of attorneys. If you are not with a top firm or did not go to a top school, your chances of relocating to a major market are going to be very minimal if you are seeking to practice with one of the better firms in that market. One of the reasons it is more difficult for litigators who are not truly stellar to relocate is because there are so many of them. There are far more litigators than tax attorneys, ERISA attorneys, and corporate attorneys, for instance. The desks of hiring partners in major firms are littered with the resumes of litigators, and for hiring partners, it is often far easier to hire local talent than attorneys relocating, unless the litigator is stellar. In a market like New York or California, for instance, there are also several less-than-obvious risks to hiring an out-of-state attorney, unless the attorney has some really stellar qualifications. First, the firm must bear the relocation costs for the attorney, pay the attorney while he/she is studying for the bar exam, and so forth. Second, while there are certainly the same risks in hiring corporate and intellectual property attorneys, the risks are far greater for litigators because litigators must be licensed before the bar of their jurisdiction in order to even sign pleadings. Furthermore, once a litigator gets involved in cases, he/she can become somewhat indispensable compared to attorneys practicing other areas of law. Finally, there are various rules for pleadings, filing requirements, and all sorts of things that are unique to each jurisdiction and court in which litigators may practice. The learning curve is often far steeper for out-of-state lateral litigators than it is for local attorneys, and such laterals who practice litigation generally need far more training than their counterparts practicing other types of law. One of the issues you must be aware of in when understanding how to move to another state is that you also must be aware of the various requirements for certification state to state. In Washington, DC, having a certain score on your state's bar exam will allow you to waive into the DC bar without taking an examination. On the other hand, New York state has reciprocity with a very few states—and only after five years of continuous practice. You should also be aware of the type of practice. If you have already had substantial federal experience, you know that federal courts are guided by the same general rules of procedure and evidence. Your skills in one state court may not be readily transferable to a different state, depending on their various rules of procedure and practice. Did you score well on your state’s bar exam? Are you proud of your experience? There are some markets where these concerns are not as significant, and litigation attorneys may have more success in these markets. For example, in Washington, DC, which has reciprocity for bar admission for attorneys coming from other states, these concerns do not seem to be emphasized to as great an extent as in other markets. Additionally, the bar exam in Illinois is not extremely difficult, so the threat of not passing the bar is lessened there as well. For detailed information about the admission requirements in each state, see the American Bar Association's Comprehensive Guide to Bar Admission Requirements. Corporate attorneys are the easiest types of attorneys to relocate. In fact, corporate attorneys can generally pick and choose the areas of the United States or the world they want to relocate to if they are strong enough academically and are coming from a top law firm. A corporate attorney in New York, for instance, could relocate to Detroit, Miami, or even Memphis if he/she were strong enough. This is important to understand when you are wondering how to relocate to another city as a corporate attorney. However, the negative aspect to this reality is that corporate attorneys are not always marketable, and their marketability will be dependent upon the state of the economy to a greater extent than litigation attorneys. Additionally, a corporate attorney coming out of a major legal market and law firm in a city such as New York or Palo Alto will be far, far more marketable than a corporate attorney coming out of a lesser-known legal market, regardless of the school he/she attended. The perception is that the corporate attorney coming out of a major legal market and firm will have far better and sophisticated legal experience than an attorney coming out of a lesser-known market. One reason that corporate attorneys are very marketable is because the skills they learn—if they have the right type of training—are transferable. Additionally, depending on the type of experience, corporate attorneys who become specialized often have skills that are greatly in demand. One of our recruiters at BCG Attorney Search often tells the story to candidates about an attorney he met when he was a summer associate at his law firm in New York. That attorney droned on and on about how all she did was work on one particular type of document used in one particular type of transaction. The attorney looked at her work in a negative way because that was the only thing she knew how to do and the only thing she had done the entire five years she had practiced law. In some respects, this may seem like a bad thing. Nevertheless, an attorney with specialized skills such as these can be truly marketable if there is a firm that needs those types of skills. The attorney could be marketable in Tokyo, Hong Kong, Los Angeles, London, and all sorts of places, while her counterparts without those types of skills would not be. In fact, if that attorney were one of only a handful of attorneys in the world with her particular types of skills, she might even have close to guaranteed employment in doing that particular type of work. This is not to say that this is entirely positive (we have seen instances where the Internal Revenue Service or some other body abolished the type of specialized work a given attorney was doing and the attorney was left to scrounge for work); nevertheless, the point is that corporate attorneys with specialized skills can be very marketable. Corporate attorneys tend to be most marketable in large metropolitan areas and in growing areas. In the 2000 calendar year, we placed several corporate attorneys in Seattle, for example. We placed more than 25 corporate attorneys in Silicon Valley and numerous corporate attorneys in other major markets. There are always openings for corporate attorneys in markets that many attorneys might not expect to have these openings—markets like Beijing and even Australia. Certainly, being a corporate attorney has some very real rewards because as a corporate attorney, you develop a skill set that is marketable in more than one place in the world at a time. The downside to the marketing of corporate attorneys is that when the economy slows, so does much of the corporate attorneys' work. In fact, when layoffs occur in law firms, corporate attorneys are often the first to go. At one point in the early 1990s, for instance, there was one open corporate position in the entire city of Los Angeles. In early 2000, there were probably in excess of 100. This manic up and down demand for corporate attorneys means that a corporate attorney's likelihood of relocating is extremely dependent upon the state of the economy. At most times, patent prosecutors are more in demand than all other types of attorneys. Particularly in demand are patent prosecutors with electrical engineering, computer science, physics, or mechanical engineering backgrounds. The reasons these attorneys are so in demand stem from the facts that there are so few of them and that the skills they have are very easily transferable. Virtually every patent attorney with this type of background we have ever represented has gotten multiple job offers. If there is anything you get out of the above discussion, it should be that attorneys are generally most marketable when they are trying to relocate if the following conditions are met: (1) They have skills that are highly in demand, (2) there are few types of attorneys like them, and (3) their skills are easily transferable. If you are an attorney who fulfills each of these, and depending upon how strongly you fulfill each of these criteria, you will be a good candidate for relocating to another market. Do you think you meet these conditions? If so, what market do you wish to relocate to? In general, the best markets for relocation tend to be major cities, where the population is transient. Relocating to a small town in Virginia, for example, would be quite difficult, unless you were originally from that area. While we hate to sound like gurus on the matter, in our opinion, the best major markets for relocation candidates have proven to be California, followed by the East Coast, followed by Chicago. All of this is certainly tempered, to some extent, by the observations above about the types of attorneys that are likely to be marketable. The state of California alone comprises one sixth of the world economy. This status as a market should give you a good indication that there is a strong demand for attorneys here and that the hiring trends we see in California can be affected to a great degree by the health of the economy at a given point in time. In California, the best markets for relocation tend to be Palo Alto, followed by San Francisco, Los Angeles, Orange County, and San Diego. The growth in the number of attorneys in these markets in recent years has been fueled largely by attorneys who relocated here from out of state. In particular, lateral attorneys in these markets have always been and will likely continue to be in demand. We serve more than 1,000 firms in the state of California and interact with many of these firms on a day-to-day basis. As recruiters, it is interesting for us to see how the different areas of California demand attorneys. Probably the strongest legal market in the United States for attorneys relocating is the Palo Alto area, in our opinion. The Palo Alto area may not have the largest number of jobs; however, for skilled attorneys, their odds of getting positions in this market are higher than in most other markets. One reason for this is that Palo Alto is a growing market. While we have all heard stories about layoffs and so forth in this market, it is notable that it continues to attract satellite offices of major firms throughout the United States on an ongoing basis. When these satellite offices are established, they quickly demand attorneys and, in order to fill their hiring needs, are often quick to hire star talent. One reason this market is so good for lateral attorneys is that most of the attorneys practicing in this area are also transients, and many, many of these attorneys lateral here from other firms in other parts of the United States. Contrary to many of the impressions attorneys from other parts of the United States have of the Palo Alto area, it is not entirely a lifestyle type of place. Many of the attorneys practicing here commute long distances to work because permanent housing is extremely expensive. While a second- or third-year attorney can certainly afford a home in this area, the homes do not come cheap. Apartments or other types of housing are, however, cheaper than in New York City. San Francisco is also a good market for lateral attorneys; however, in our belief, the San Francisco market is slightly more competitive, and there are fewer ongoing opportunities in this market than in the Palo Alto area most of the time. San Francisco tends to attract a great many attorneys from all over the United States, who are drawn by the lifestyle and romance of the city. In the rush to the Bay Area in the late 1990s and early 2000, the majority of the attorneys we saw gain employment in the Bay Area did so in Palo Alto and not in San Francisco proper. The markets in San Francisco and Palo Alto are generally best for attorneys with strong backgrounds in corporate law and intellectual property-type matters. In early 2001, there has been a major slowdown in the hiring of corporate attorneys in the Palo Alto and San Francisco areas, and even some of the largest names in the legal profession have begun laying off attorneys. Many of these attorneys are attempting to go elsewhere in the United States or California. We should add, however, that despite this slowdown, there does remain a demand for many types of attorneys in this area. Litigators and labor and employment attorneys with top credentials moving from one part of California to this area will generally get multiple interviews. Patent prosecutors and real estate attorneys relocating to this area of the United States (from other states) with top credentials will also get multiple interviews. The East Coast legal markets, including New York City; Washington, DC; Northern Virginia; Boston; and Philadelphia, are also very strong markets for lateral attorneys who are relocating. One reason for the relative strength of these markets is that it is common for attorneys to move up and down the Eastern Seaboard. An attorney may practice in Washington, DC, for a few years, for instance, before returning home to Boston, where he/she will join another major firm. We have seen a lot of this type of movement, and to a great extent, this makes up a great deal of the lateral movement in the East Coast and contributes to the East Coast's legal market's being a fluid one for relocating. In many respects, this also mirrors California, where attorneys may move from Los Angeles to San Francisco, and vice versa. While these are technically relocations, in other respects, they are not because they do not involve the same issues that a traditional relocation or cross-country relocation does. New York and Washington, DC, have particularly strong markets for attorneys with corporate expertise relocating there. While this market for corporate attorneys has cooled a great deal in the year 2001, some observations about the state of the market should be noted. First, in the year 2000, the market for corporate attorneys in New York, in particular, was incredibly strong. We were seeing attorneys, who a year prior would not have had a chance with certain firms, getting multiple interviews with top firms. Attorneys who were at mid-sized firms in places like Cleveland were getting interviews and jobs with some of the top firms in New York. This experience was mirroring to some extent what was going on in California. The fact about the New York legal market is that it has always been a market of transient attorneys for the most part, and this bodes well for those seeking to relocate. Many first- and second-year attorneys in New York look at their experiences in New York firms as temporary in all respects. Are you one of the few who would wish to permanently stay in New York? If not, why wouldn’t you want to stay there? The Chicago legal market has consistently proven that it is a good market for attorneys to relocate into. However, we should note that the hiring criteria of Chicago firms do not appear as vulnerable to the tides of the economy with respect to attorneys relocating to this market. For example, during the hiring frenzy of last year and the prior year for corporate attorneys, this frenzy did not appear nearly as strong in Chicago. While Chicago is a good legal market, it traditionally has been much more conservative in its approach to relocations. The quality level of the attorneys must generally, and consistently, be high. For the most part, we have seen more demand for litigators relocating here—and more receptiveness to them—than in other markets. Additionally, many of the individuals who relocate to Chicago are originally from there or have some sort of connection with the city. Smaller markets are often very receptive to lateral attorneys. We were astounded by the number of lateral attorneys we placed in the Seattle market last year, for instance, and have been getting a steady clip of opportunities in markets such as Arizona. Additionally, we have seen some interesting activity in markets like Florida and Michigan that for the most part are not considered major markets. The key to lateraling into smaller markets is that these markets are not traditional destinations for top attorneys when they graduate from law school, and these markets—like all markets—have attrition and need to get attorneys to fill the roles of attorneys who have left. Another aspect of the smaller markets is that many are growing. Seattle is a perfect example. This market has seen the likes of some of California's top firms open offices there recently because there is so much work. While a market like Phoenix may not seem all that developed, we have been amazed by how receptive this market may be to certain types of attorneys. For example, a tax attorney with an LL.M. in Taxation from a top law school may share his/her academic achievements with fewer than 10 attorneys in the entire legal market. Accordingly, this market may be open to people with well-defined specialties to a greater extent than many other markets. If you are wondering how to relocate to another city or you are looking for a job in another state, we are here to help you. As a national search firm, we have the distinction of being able to stay on top of the markets throughout the United States and to some extent even the world. As a national search firm, we believe we are better equipped to handle the relocation needs of attorneys than any search firm we know of.